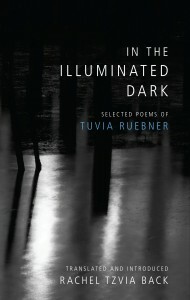 Hebrew Union College Press is proud to announce that In the Illuminated Dark: Selected Poems of Tuvia Ruebner, translated and introduced by Rachel Tzvia Back, is a finalist for the 2015 National Translation Award in Poetry. The American Literary Translators Association is pleased to announce the shortlists for the 2015 National Translation Awards in Poetry and Prose. This is the seventeenth year for the NTA, which is administered by the American Literary Translators Association (ALTA), and the first year to award separate prizes in poetry and prose. The NTA is the only national award for translated fiction, poetry, and literary nonfiction that includes a rigorous examination of the source text and its relation to the finished English work. The award will be announced at ALTA’s annual conference, which will be held this year at the Marriott University Park in Tucson AZ from Oct. 28-31, 2015.